The Rocker was inspired by the aerodynamic style of the 1950s. The design expresses an interplay of shapes and subtle contrast in textures. The Rocker design works as a unique office chair, as well as a comfortable living room or anywhere else chair. The Rocker is crafted from maple and features pinned-through mortise joinery. 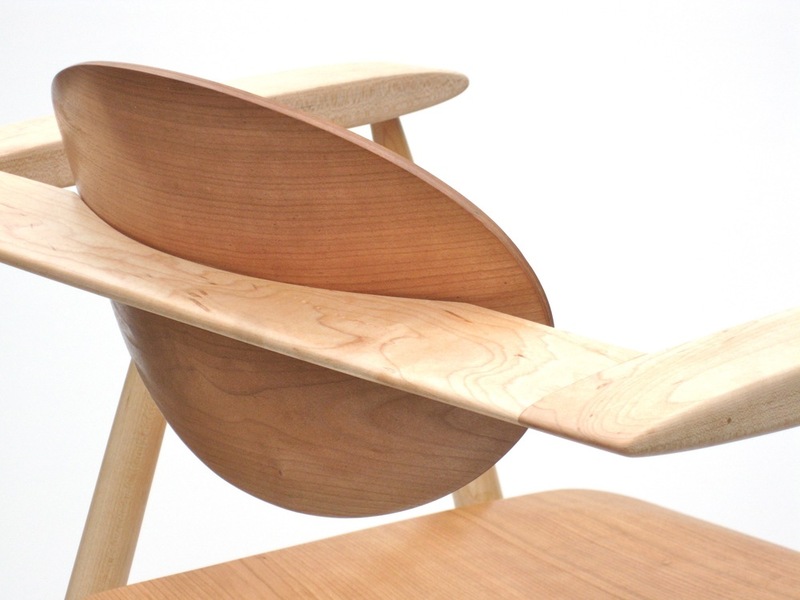 The seat and back rest are bent-veneer.